Teams of high school students convened at county courthouses across Oregon to compete in the 31st annual mock trial competition. The 2017 regional competitions were hosted in seven courthouses across the state. Top teams from each region will compete in the state finals at the Hatfield Federal Courthouse in Portland on March 17-18, 2017. 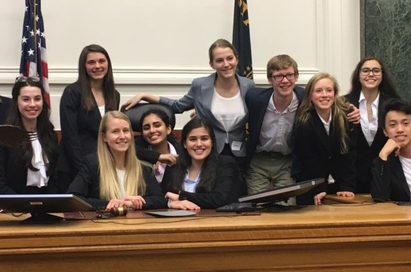 The winning team will go on to represent Oregon at the National High School Mock Trial Competition in Hartford, Connecticut, May 11-13, 2017.